Background/Info: Italian artist Giuseppe Sciretti aka Nigh/T\mare is a new name active in the wider fields of dark-techno music. He released a few EP’s over the past 2 years and I discovered his sound by “Hypnagogia”. Notice by the way the digital version of “Hypnagogia” features one bonus track you’ll not find on the vinyl. 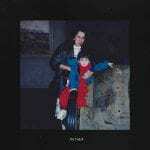 Content: The work of Nigh/T\mare is characterized by an impressive, overwhelming sound production. If the artist is linked with techno music, I clearly discovered a visionary industrial format carried by heavy, bouncing drones. The tracks are filled with bombast and accomplished with some fine electronic sequences. Some tracks feature whispering, half-spoken vocals creating a spooky effect. One of the tracks was remixed by Killawatt while the bonus cut is a noticeable extra track. + + + : It’s been a long time that I’ve been so impressed by an industrial production of this high-tech quality. 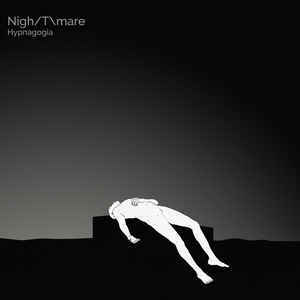 But Nigh/T\mare also has a visionary sound. The overwhelming production mainly driven by bombast and terrific kicks is absolutely unique. Four from the five Nigh/T\mare cuts are worthy of examination. – – – : I was less convinced by the remix of Killawatt. It’s maybe not a coincidence as the original version of this song (cf. “Deflagration Of Hell”) also is the single piece that can’t convince me like the other cuts. Conclusion: This EP is a real masterpiece! I don’t understand why this EP has been labeled as ‘techno’ music as it reflects a pure and visionary industrial format. Best songs: “Inside Me”, “Without Believing”, “Despite Everything”.